This is probably one of the more useless "how-to" recipes on the internet. 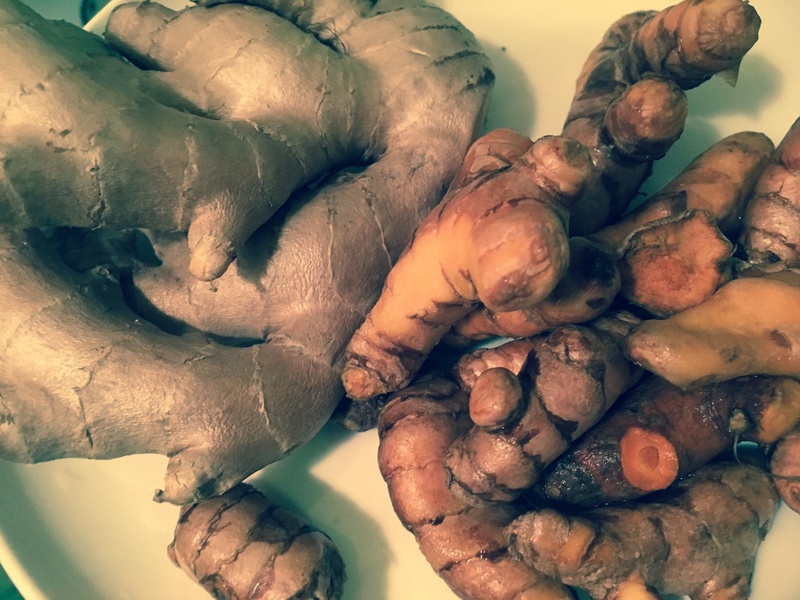 Everything you need to make ginger turmeric tea can be found in the name. You can buy it dried and pre-made, like any other tea, but I really recommend going to the grocery store and getting the fresh stuff. You'll probably find them next to one another, though not all grocery stores carry fresh turmeric. Using fresh ginger and turmeric makes a world of difference. Chop the ingredients finely, or throw them in a food processor if you're a lazy like me. Throw them in a pot of water and boil it for 15 minutes. I tend to make large batches in a soup pot and bottle up what I don't drink to reheat later. You can get a considerable number of steeping with the fresh stuff. Go crazy. Supposedly ginger and turmeric are anti inflammatories, and there's been much made of the health risks associated with inflammation over the past few years. The reality might be a little less simplistic, as it tends to be, but none of that should keep you from enjoying this tasty tea.